Have you ever watched the show “The Property Brothers” and thought it would be so cool to find “that home” in the perfect location and you could make it the home of your dreams? Rip out walls, tear out the floors or add on and give it the extra bedrooms or baths you need? I am so excited to offer this type of renovation project in Pueblo, Pueblo West and all of the Pueblo County areas. I can now help you get that perfect home, in the perfect location!! Once we find that “perfect home”, I can help you meet with the designer and he can show you what your “new home” can look like. I can then help you with the contractor that will be able to make your dreams become a reality, and I can help you get up to 96.5% financing for your “dream home”. This financing will include your home purchase, remodel expenses and labor. So you will have one payment for the actual cost of your new home. This is no different than buying a traditional home or even buying a new construction home. Ready to get started?? We can do the exact same process as The Property Brothers. We look for homes that are in your target area and then determine which one is closest to your “dream home and location”. No longer do you have to say, “I wish I could pick up this house and move it to my favorite area”! Most people do not have the visual eye to look at a “home in the rough” and decipher the diamond below. That is where I work closely with the designer to transform a home into the home you are dreaming of. It is amazing to see the “after” pictures. Custom cabinets, hardwood floors, or maybe tile or carpet. Beautiful paint themes, arched windows and door frames. Modern, traditional, sleek or country charm……If you can imagine it, we can help you achieve it! I am sure you are asking how this works? Well it is a pretty easy process when you work with the right team of professionals. First, I will help you get pre-qualified for your loan. Then the fun starts! We look for that perfect location home, remember, it does not have to be perfect inside, just the perfect location. Once we find a home (or a couple), then we can determine what you would like to change with the homes. This is where the designer comes in. He will find out what the specification of your dream home are. Maybe you want a bigger kitchen or a formal dining room. Maybe the home needs an entire renovation. The designer will layout options for the new room(s) and work with a contractor to come up with pricing for this specific renovation project. This will give us a total price for your new home and verify we are staying under your pre-qualified loan amount. Once we get the final loan approval, we close on your new home and the renovation begins!! The renovation must be completed with in 6 months, so the contractors we work with understand this and can comply with these guidelines. Imagine, in just 3 months you will be moved into the perfect home!! And you didn’t have to do it yourself, which admit it, would never be completed in 6 months …. and guaranteed to work and function properly! In most cases, the homes have instant equity because of the renovations. Not that you would want to move out of your dream home, but if the thought does occur, you will know that your home is worth more than you have into it. Sound like a perfect plan? Call me today and I will help you get started. Raised in a 3rd generation family of contractors, I am pretty good an knowing what walls can be removed, which can’t, how you can get extra space, etc.. I love this process as much as my clients do, so lets bring the Property Brothers concept to Pueblo!! How do we get started? Click here to go to my Home Renovation Page with a photo gallery of before and after pictures, you will be amazed! Who wouldn’t love to pay 50% of a home’s sale price? If you are a law enforcement officer, Pre-K through 12th grade teacher, firefighter or EMT, then you qualify for the “Pueblo Good Neighbor Next Door” through the HUD Program. This program is designed to help revitalize communities by having “good neighbors”. When a home has been foreclosed and is available through HUD, it is determined if the property qualifies for the Good Neighbor Next Door Program (GNND), if so, then it is exclusively listed for 5 days. Because of the short time these homes are exclusively available to the professions listed, I highly recommend you get pre-approved through a trusted lender before hand. Once a homes is listed as a “GNND” , you have the ability to tour the home to decide if the home is one you would like to purchase. You will need to work with a REALTOR® that is registered with HUD to show you the home and put in your bid to purchase. One of the requirements with the GNND program is that you offer full listing price for the home, and you will live there as your personal residence for 3 years. This is where the incredible program starts, you have a mortgage for 50% of the purchase price, which is what your mortgage payments will be based on. You will sign a “silent” second note for the balance, which is wiped clear after the 3 years you reside at the property. You truly purchase your home for 50% of the sale price!! To view home available in your area (which must be located in the “district” or city you are contracted to work in) you can go to the HUD Homestore Website to search for properties. Remember, they go quickly!! If multiple bids come in, the “winner” is chosen by a random lottery. 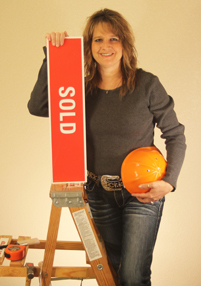 If you are ready to start looking for a new home and are a “Good Neighbor”, I can show you homes as they come on the market and place your bid to purchase the home you feel is right for you! A HUD home is a home that was purchased with a FHA loan and went into foreclosure. The loans are handled by the Department of Urban Housing and Development (HUD) which are responsible for getting the homes resold. The homes are inspected and appraised then listed for sale through Real Estate Agents. The homes are listed on a “bid” system. There is a process for bidding on the homes. The homes are offered first to “owner occupy” buyers These are homeowners that are wanting to purchase the home as their residence to live in. Many of these buyers are able to obtain FHA loans which only require a 3.5% down payment. If a home is not “sold” during the time period for owner occupies, then the home is offered to everyone. This is usually where investors look for properties that will make a great rental, flip or other investment type property. If a bid is not accepted, just like any home that is on the market for any length of time, the price of the HUD home is reduced until a bid is accepted to purchase the property. As with any home listed, you can ask to look at any of the HUD homes that are for sale. You will want to treat this home like any other and have a home inspection done to determine if there are any repairs or issues that need corrected. Unlike the stigma that HUD homes are “fixer uppers”, many have been well cared for and are move in ready. Anyone can search the HUD home listings, but in order to place a bid, you must have a Real Estate Agent that is licensed with HUD represent you and place your bid to purchase a property. Your agent can check at the end of each bidding period to see if your offer was accepted or if the bidding period is still open. With HUD homes, the earnest money deposit is between $500 and $2000, and is specified for each property. The earnest money is a “deposit” for your property that you you intend to purchase and acts as a hold. At closing, your earnest money is credited towards the purchase of your home. Some HUD properties are on a special program where you only have to pay $100 for the earnest money. Your agent can let you know if the home you are interested in qualifies. Once your bid is accepted, you will work with your REALTOR and Mortgage Lender to get everything secured for your financing and be ready to close on your property. Unlike the traditional home purchase, most HUD homes do not require an appraisal. 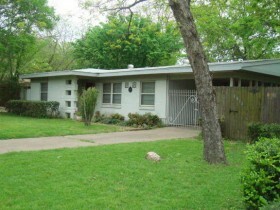 The lender will usually use the appraisal that HUD had done when they took over the property. Once your financing is finalized and the inspection is complete, you are ready to close on your new home and take possession. The period between your offer being accepted and the actual closing can be around 45 days (plus or minus). You are now the owner of a HUD home and the process was probably nothing like what you thought it would be. With the right agent representing you, it should be a pretty easy process! If you would like to look at HUD homes in the Pueblo County area, I hope you will give me a call and let me put my HUD experience to work for you!